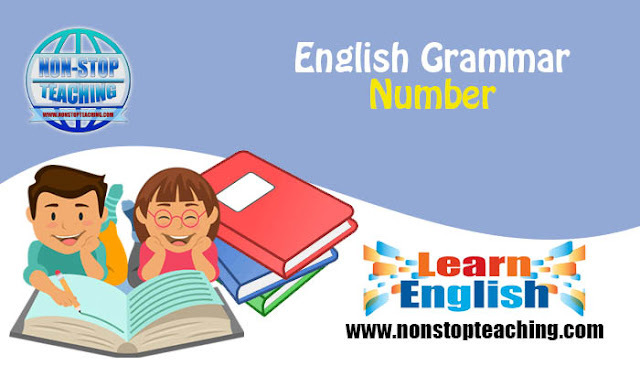 In grammar, the number refers to the count of a noun or pronoun. Example: Boy-boys, wife-wives, my-our, ox-oxen, it-they, etc. It refers to the count of only one of a noun or pronoun. Example: pen, table, aunt, father, goose, etc. It refers to the count of more than one of a noun or pronoun. Example: pens, tables, aunts, fathers, geese, etc. If there exist s, sh, ch, x, and z in the end, “es” gets to be used. Part 1: when there’s a “y” in the end and a Consonant before that “y”, “i” substitutes it and an “es” thereafter. Part 2: but if there’s a vowel ahead of that “y”, no need to change it, only “s” to add. “v” replaces f or fe and then adds an “es” to finish it. Part 1: “es” to be added if the noun is finished by “o” and a consonant places ahead. Part 2: but when there’s a vowel before that “o”, only “s” is enough. Exception 1: though there’s an “o” and a consonant ahead of it, some nouns use only “s”. Exception 2: for some, “s” and “es” both are correct. Some require changing the middle-vowel of the word to make it plural. Some require en, ren and ne to add at last. Part 1: if “man” means human being in a compound noun(a noun that contains two or more words that jointly make a single noun), “men”replaces that “man”. Part 2: but when “man” is just a part of the word, or it refers to any ethnic group, race or civilian, there comes “s”. “s” to be added when there’s a “ful” in the end. Part 1: If compound noun contains several words, “s” comes to join with the main part of that noun. Part 2: in some cases, “s” comes in every part to make it so. Besides, adding “s” only in the end gets it done for few. Some singular nouns have no plural form, only used in singular. Adversely, some are always used as a plural form. Though some nouns seem like singular, but actually they are plural. Similarly, some nouns seem like plural though they are singular. Some have the same singular and plural form. In case of letters, numbers and other symbols, it takes an apostrophe and s to change it. Sam, write your g’s and y’s clearly. John, add two 5’s and three 8’s. There is no specific rule for changing the number of pronouns. It’s all about memorizing. In grammar, the number refers to the count of a noun or pronoun. Example: Boy-boys, wife-wives, my-our, ox-oxen, it-they, etc.